1 YRS Guangzhou INEO Kitchen Equipment Co., Ltd.
10 YRS Shanghai Shenhui Industrial Co., Ltd.
After installation,our engineer will traning your people how to use and how to mainenance the equipments. Our Factories The cooking equipment factory cover an area of 50,000m2,and have more than1200 workers. The stainless steel fabrication is a essential part of the commercial kitchen. 2.The bowl with fit capacity. It is easy to operate. 3.New powerful gear system. 6 YRS Shanghai Mooha Import & Export Co., Ltd.
Because of the packing, we remove the top material and put it into the machine, our packing height is less than the contour height. 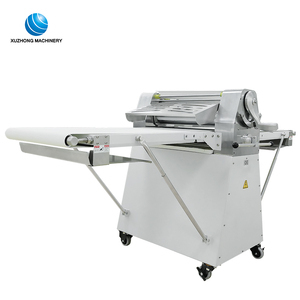 Because of the packing, we remove the top material and put it into the machine, our packing height is less than the contour height. If container is too tigher,we will use pe film for packing or pack it according to customers special request. 5 YRS Guangzhou Bossda Mechanical Equipment Co., Ltd.
2. Small size,portable,rugged components and high efficiency. 4.Easy to clean removable non-stick scrapper blades,not sticking to dough. Q3, Can we make customized order9 A3, Yes,we accept custom design. 7 YRS Chengdu Jixin Food Machinery Co., Ltd.
9 YRS Shanghai Yixun Machinery Manufacturing Co., Ltd. 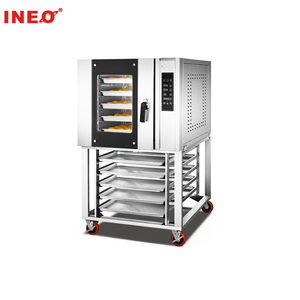 The electric food baking equipment includes two kinds, one is diesel combustor type and the other is electrical heating type. , LTD is specialized in providing complete food plants on processing and packaging of biscuit, cake, candy, cookies, bread, chocolate and so on. Thanks for our technical and development team with rich experiences for many years and more than 30 whole production lines. 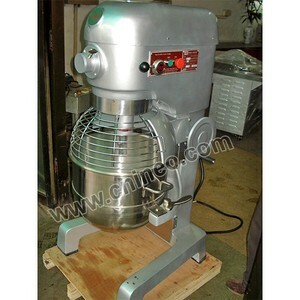 According to your need, you can choose Single Filling Machine to produce Single Dilling Moon Cake. 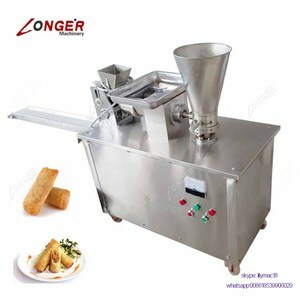 Also you can choose Moon Double Filling Machine to produce Double Filling Moon Cake. (5) We prepare for your order in terms of the proforma invoice after confirming your full payment. 4) The chamber is using the high quality steel plate to avoid thermal deformation during the long-time baking. 5) The main components are used of international brand which have more stable quality. 6) The main components are used of international brand which have more stable quality. Currently, our factory has more than 500 employees, and covers an area of 78000 square meters. we export more than 1, 500,000pcs pasta machine to the market all over the world annually. Moreover, our factory has obtained certificate of ISO 9001 and ISO 14001 .
g MMain Features Model HYS-III Capacity 1000-6000pcs/h Voltage 220v/380V (costomizable) Power 4.5kw Control system PLC Operation Touch screen Machine dimension 4600*1400*1500mm Machine weight 850kg Warranty 1year Certification ISO9001:2008, CQC, CE Detailed Images Product range Our Company Our Service Testing & Training The plant layout design, assembling and installation, start-up and local team training will be free . But the buyer should be responsible for the round-air tickets, local transportation, board & lodging, and US$60/day per person for the allowance to our technicians. Utilities The buyer should prepare sufficient electric power, water, steam and compressed air supplies which are suitable to be connected to our machinery before the arrival of our machinery. 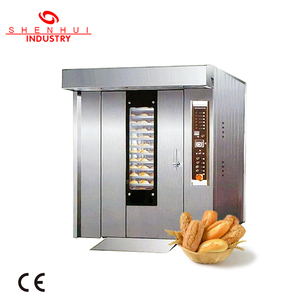 2 YRS Guangdong Shunde Tuanxing Energy Saving Equipment Co., Ltd.
Alibaba.com offers 8,800 pastry equipment products. About 16% of these are grain product making machines, 6% are baking & pastry tools, and 1% are multi-function packaging machines. 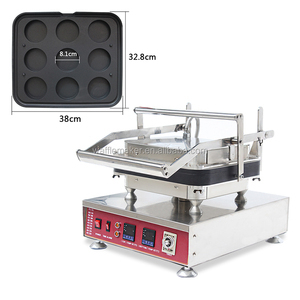 A wide variety of pastry equipment options are available to you, such as free samples, paid samples. 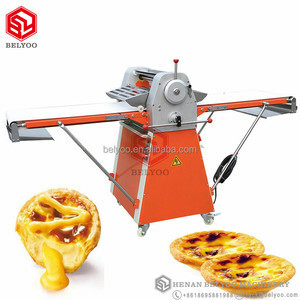 There are 8,800 pastry equipment suppliers, mainly located in Asia. 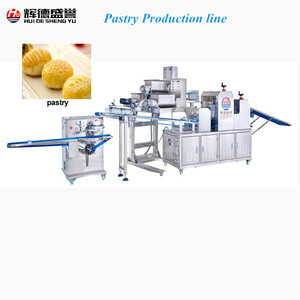 The top supplying country is China (Mainland), which supply 100% of pastry equipment respectively. 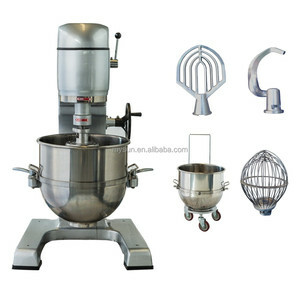 Pastry equipment products are most popular in Mid East, Africa, and North America. You can ensure product safety by selecting from certified suppliers, including 1,661 with ISO9001, 214 with Other, and 200 with ISO14001 certification.